Financial assistance was available to those individuals and families prepared to leave their homes and travel around the world to a new life in the English colonies. Local poor law commissioners were responsible for paying costs for their parishioners to reach the port of embarkation, while the Australian government would pay the majority of the travel costs of the voyage itself (and sometimes domestic travel costs to their final destination as chosen by the Australian government). The trip of the Thetis to New South Wales in early 1848 is notable as a number of Wing families were on board. The Thetis left London on 24 January 1848. After a brief stop in Plymouth the wooden barque headed to Australia on 6 February, and almost three months later she arrived at Port Jackson, Sydney, on 27 May 1848. The dispatches from Government House in Sydney back to England noted that the Thetis was extremely well adapted for the conveyance of emigrants and was in a very cleanly state on arrival. The report also notes that the newly arrived immigrants were “of a superior description”, although the Surgeon on board, Mr Cream, noted that there had been measles and some dental problems on the trip. The “hardy, industrious lot of people” would all find employment within a fortnight either in Sydney or in other NSW settlements. The statement of the Poor Law Commissioners back in Buckinghamshire records that £100 was provided to defray the costs of 14 adults (over 14 years), 3 children (between 7 and 14 years) and 7 infants (under 7 years) from Wing to New South Wales. They are not named in that statement, but it must have been a slightly different 24 who disembarked from the Thetis in Sydney as there had been some births and deaths amongst the Wing emigrants on the voyage. This Wing contingent was the largest from a single Buckinghamshire village in the 1847 and 1848 period. The 24 arrivals from Wing were the families below. As you will see, they seem to have maintained links with each other once in Australia. If you have any information to add, please email me. Thanks to Deb (re Jordan, Baker, Pitchford families) and Rod (Faulkner) for information contributed. George MEAD was born 19 April 1830 and baptised on 3 April the following year. The sixth child of Joseph and Susanna Mead, he had just turned seventeen when his daughter Ann was born on 24 July 1847. The baby’s mother, Rachel ROWE, was a year younger than George – Rachel was the daughter of Thomas and Mary Rowe and was baptised on 3 July 1831. As was common, the young couple would not have married until they had to, and the prospect of emigration meant they married on 9 January 1848. Two weeks later the family of three were on their way to Australia. At least 86 of the migrants on the Thetis subsequently travelled by steamer from Sydney to the immigrant depot in Maitland (a twelve-hour trip) upon arrival in Australia, and it seems likely that the Meads were amongst that number. The Maitland region consisted of fertile farmlands. The Hunter River running through it meant produce could be easily transported to market, but also meant the land was prone to flooding, including particularly devastating floods in the late 1850s that would have affected our Wing immigrants. Labourer wages obtained in Maitland in 1848 were around £15 to £25 per annum, depending on their skills, and what tasks if any the wives were prepared to undertake. George had specialist ploughing skills so likely earned at the higher end of the scale. The Meads settled at Midlorn in Maitland, and were able to purchase a farm of their own in 1863 (although family speculation is that George may have spent some time on the goldfields in order to be able to afford this). Another 11 children were born to George and Rachel in Midlorn. George died on 3 March 1894 and Rachel on 3 April 1898 (a photo of their gravestone in the Rutherford cemetery in Maitland can be found on the Australian Cemeteries Index website). George evidently took some interest in politics as he is a named signatory to an advertisement taken out in the Maitland Mercury in 1880 requesting that John Nolan stand as a candidate for the local electorate in the upcoming general election (this ad is followed by a reply from Mr Nolan confirming he would stand). A more entertaining newspaper report dates from 1879, when George was the proud grower of a 160lb giant pumpkin! Alas there is no photo of George and his pumpkin, but there is a portrait of George and Rachel in the 1880s in the book Wing As It Was vol 2. Daughter Ann MEAD married William Richards (also a farmer in the Maitland area) at age 21 and had nine children. She died 4 April 1919, and the gravestone for Ann and William is also in the Rutherford cemetery and can be viewed online at Australian Cemeteries Index website. William JORDAN was baptised 25 January 1823, 6 weeks after his parents Thomas and Ann were married. A further seven siblings followed, the last not long before William left Wing for Australia with two children of his own. He had married Sarah Hannah BAKER five years earlier on 7 June 1843. It would appear that the family were Primitive Methodist. Rhoda (born 17 November 1845) had been baptised in that faith on 7 December 1845, however this may have been a recent change as older sister Ruth (born 18 October 1843) had evidently missed out on being baptised and did not get this done (into the Church of England at All Saints Church – presumably only as a matter of expediency) until 9 January 1848 when the family were just about to leave. Even more curiously, when they landed in NSW William and Sarah gave their own religion as Primitive Methodist and their children as Wesleyan! Sarah Hannah BAKER (more commonly known as Hannah) was the daughter of George and Mary Baker. George and Mary were non-conformists who would travel over to Leighton Buzzard’s Primitive Baptist Church to worship. Hannah was born on 19 October 1820 and in accordance with her faith was baptised as an adult at All Saints Church on 25 June 1837. One of her older brothers, Thomas, witnessed Hannah’s marriage to William Jordan, and travelled with them on the Thetis. He was born on 4 May 1812, however his age was given on the Assisted Immigrant Passenger List as 30 rather than 36 – as Sarah’s brother cannot be found in UK records after 1841 and there are no other known candidates with a Wing connection I am confident this is him, despite the age discrepancy (which was likely to be deliberate as there were age restrictions on gaining assisted passage). The family had grown by the time the Thetis docked in Sydney. Hannah had been several months pregnant when they left the UK, and baby Thomas George arrived during the voyage. Thanks to the NSW practice of requesting the birthdates of all previous children when registering subsequent births to the parents we know that he was born on 27 March 1848, midway through the trip. Like the Meads, the Jordans also ended up in the Maitland area, and went on to have another five children in Australia. The newly arrived families were close. William Jordan and George Mead, then both of Midlorn, are listed next to each other as having given 10 shillings apiece to the Maitland Patriotic Fund in 1855 – this charitable fund was ostensibly set up to help the widows and orphans of those Englishmen fallen in the Crimean War, however it was made plain that a further aim was to demonstrate support and loyalty to the Sovereign and the English government’s actions. A few years later in February 1858 Rachel Mead was a witness to the birth of William and Hannah’s daughter Jane Elizabeth Jordan at Midlorn. William evidently changed occupations as new opportunities arose – the ubiquitous ag lab from Wing is listed as a farmer in Midlorn in 1858, a butcher in West Maitland in 1860, and upon his death his son-in-law gave William’s occupation as miner! On 1 December 1884 he died at Woollahra NSW, half way between central Sydney and Bondi Beach – I wonder what our Wing folk made of the surf beaches down under? Wife Hannah died on 11 November 1905 at the home of her now-married eldest daughter Ruth in Glebe NSW (a suburb of Sydney near Darling Harbour). Ruth JORDAN had married Indian-born William Edgeworth Lowe at her parents’ home at Horseshoe Bend, West Maitland, on 5 April 1862 (another of the Wing-born child immigrants, Ann Mead, also lived at Horseshoe Bend later in life). She died 26 March 1906, only a few months after her mother, although the couple had obviously moved to a different address in Glebe after Hannah’s death. A sad note from Ruth’s death certificate is that she had borne 14 children, but only 5 were still living. Rhoda JORDAN, despite her birth registration and baptism being in the name Rhoda, used the name Herodias once in Australia. She married a fellow immigrant, William Hillier, on 20 June 1865 in Kyonga, Muswellbrook, NSW, with both her parents witnessing the marriage. The couple went on to have 10 children. Herodias died on 2 Jan 1914 in Coolgardie, Western Australia. One of her nieces, a daughter of younger brother Reuben, was also named Herodias. Thomas George JORDAN had both a notable arrival into the world and a notable departure. 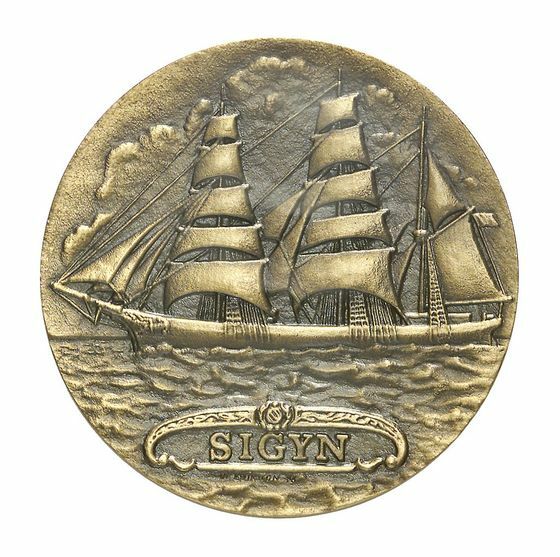 He was born on-board the Thetis as it travelled to Australia in 1848, and he just missed seeing in the new century, dying on 31 December 1899 at Muswellbrook, NSW. Thomas BAKER never married. He died at age 82 on 9 November 1894 at Sydney’s Liverpool Asylum, an institute for the infirm and destitute, rather than a psychiatric facility. His death, along with the deaths of his sister Hannah and her husband William Jordan, are all recorded in the family bible of William and Hannah’s youngest daughter Jane Elizabeth and her husband Timothy Bursill. The PITCHFORDs were relative newcomers to Wing as Jeremiah and Mary Pitchford had only moved from Pitstone to Wing around 10 years before son Thomas, their fifth child, was born on 15 April 1828. Thomas married Elizabeth JORDAN (a sister of William Jordan, see above) on 9 January 1848. The couple had been together for some time before that though, as their daughter Ann had been born on 26 January 1847, but like George and Rachel Mead they did not get married until right before they left Wing for Australia. In fact the two couples married on the same day – a busy day indeed for curate JG Joyce who performed three marriages (plus a fourth the next day) and four baptisms for those who sailed on the Thetis, and no doubt an emotional day for Wing. Upon arrival Thomas was listed as a gardener. With the family connections, it is not surprising that the Pitchfords and the Jordans remained close once they arrived in Australia. The two brothers-in-law were evidently drinking buddies, as there is a report in the Maitland Mercury on 3 March 1852 of a Thomas Pitchford and a William Jordon getting into a fight at the Maitland Inn and being charged with disturbing the peace. It seems from the report that a third man was the instigator of this scuffle, and Thomas only got involved to help William out! The two men were discharged with a caution. Their young daughter Anne survived the voyage to Australia but died on board before the family disembarked. As well as raising their Australian-born children, Thomas and Elizabeth also raised a grandson, Thomas Rimmer, after his mother died. The couple lived in Quirindi NSW and were well-known and respected within the community until their deaths in their 80s (Thomas in October 1905 and Elizabeth several years later). At some point their surname morphed from Pitchford to Pittsford. The third marriage performed in Wing on 9 January 1848 was that of long-term sweethearts William TAYLOR and Mary CRIPPS. William, born 12 June 1826, was the youngest surviving child of of Thomas Taylor and Ann Burrows. Mary was the daughter of William and Elizabeth and had been baptised at All Saints Church on 21 June 1829. By 1848 her father had died and her three older brothers appear to have left Wing, leaving Mary as the last Cripps family member to live in Wing. William and Mary’s daughter Jane Elizabeth had been born in Wing in November 1844. Now, 3 years later, William and Mary were married with young Jane baptised the same day, and the family were on their way to Australia. Like Hannah Jordan, Mary Taylor was pregnant when they set off. Her second child was born during the voyage and named Anne Thetis in honour of the ship they sailed on. The family is listed as Primitive Methodists on the Assisted Immigration Passenger List (it’s also noted that Mary could read but William could neither read nor write). Like the other Wing families, the Taylors appear to have settled in the Maitland area. It’s a bit hard to find evidence of what became of them as there were other William and Mary Taylors in the area (including a prominent builder who arrived in Maitland in 1855). Stories passed down in the Mead family have Mary Taylor and her children living with Rachel Mead for a time while their husbands tried their luck on the goldfields in the late 1850s. It’s entirely possible that there wasn’t anything as newsworthy as William’s eventual death, however. William died in East Maitland on 20 February 1877 and is buried in Oakhampton Cemetery. 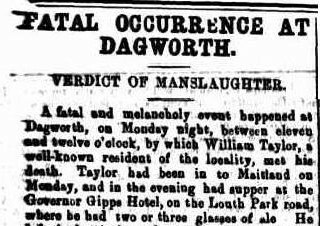 Unfortunately it seems that William did not die of natural causes – reports in the Maitland Mercury tell the story of how he had died after being shot in the leg following an altercation on a slightly-drunken walk home to Dagworth from the Governer Gipps Hotel in Maitland. William’s described as having a quick temper in that report. The shooter, Patrick Breen, was charged with manslaughter. Reports of the inquest mention that William left 12 children including 9 that were unmarried. From his gravestone and the neighbouring stone we also know that at least two children, a daughter and a son, died prior to 1877 so are likely not included amongst the 12. Other newspaper reports show that William owned land – he appealed against land assessments in 1872 (which indicated he owned at least 329 acres of grass land and a further 7 acres of cultivated land in Dagworth), and he also pressed charges against a trespasser in 1876. There is a possible marriage for Wing-born daughter Jane Elizabeth in 1865 in Maitland district to a John Grant but I haven’t been able to confirm this. I also don’t know what became of her sister Anne or mother Mary. The most curious family configuration on board the Thetis was George PAGE, his new wife Jane and her children. 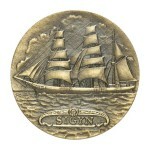 George was 19, a similar age to the other men from Wing on board. However his wife Jane was aged 38 and brought with them her five youngest children from her first marriage to Richard DIMMOCK. George was the seventh of ten sons (and a daughter) born to Thomas Page and Maria Bateman and was baptised on 6 April 1828. Jane’s father was listed as “John George” on George and Jane’s marriage entry however this appears to be an error or at the very least missing a surname. A Jane Rowe had married Richard Dimmock in Wing on 11 April 1826 and their children match the children immigrant Jane brought with her to Australia, but Jane was born in Totternhoe in Bedfordshire around 1810 and I haven’t been able to confirm her father’s name. George and Jane, both of Burcott, were married on 10 January 1848 (the day after three of their fellow travelling couples) right before setting off for Australia. Accompanying them were Jane’s children – Hannah aged 14, John aged 12, George aged 10, Joseph aged 7 (none of whom appear to have been baptised in Wing but who appear there in the 1841 census) and little Richard (baptised 8 April 1844, a few days after the burial of his father is recorded). Despite the fact the couple had been married at All Saints Church, they declared themselves as Wesleyan upon arrival. Exactly what happened to them in Australia is not known, but it appears that George and Jane Page returned to England sometime in the 1860s (there are no surviving passenger departure lists from NSW or arrival lists for the UK for this period) as the 1871 census for Wing includes a couple matching their description in Church Row. George, now aged 43, gives his occupation as “independent”, so evidently the financial opportunities of Australia had been realised – perhaps he had even struck gold! Or perhaps not, as by the time the 1881 census rolled around he’s listed as an agricultural labourer. Jane died at age 70 and was buried 1 July 1878, while George died at age 59 and was buried 31 March 1887. Two further single young men from Wing were also on the Thetis. The first was John ASHPOLE, aged 19. He was the son of Wing-born James and Marylebone-born Eleanor and was baptised in Wing on 27 December 1829. James had died when John was 9, and rather than being with his mother (a servant at Church Farm) in the 1841 census he is in the household of Ann Jordan and her family – or, rather, in the same house but officially a different household even though he was only 10. The Assisted Immigrant Passenger List has James recorded as a farm labourer, Wesleyan, who could read but not write. Beyond that, I’m not sure what became of him. If he travelled to Maitland with the other Wing emigrants there is one possible sighting the following year, an “omnibus lad” named John Ashpole who appeared as a witness in an assault case in Maitland in February 1849. Another single man from Wing on the Thetis was Thomas FAULKNER. Thomas was the son of Richard, a glazier, and Jane (nee Woolhead) and had been baptised at age 9 along with his older brother and sister. The siblings were orphans by the time of their bulk baptisms – Richard had died sometime close to Thomas’ birth, while Jane had died when Thomas was seven. Thomas Faulkner at the Vicarage in Wing in 1841. In the 1841 census Thomas was a servant to curate John Felix at the Vicarage. According to his later immigration record he could both read and write, which was uncommon amongst the Wing emigrants and may suggest the curate had taken an interest in his education. At the time he came to Australia in 1848 he was aged 22 and declared himself to be Wesleyan (it was the most popular religion in Wing around this time, but given that he had earlier lived at the Vicarage it does suggest he became non-conformist at some point in the later 1840s and was employed elsewhere in Wing immediately before emigrating). 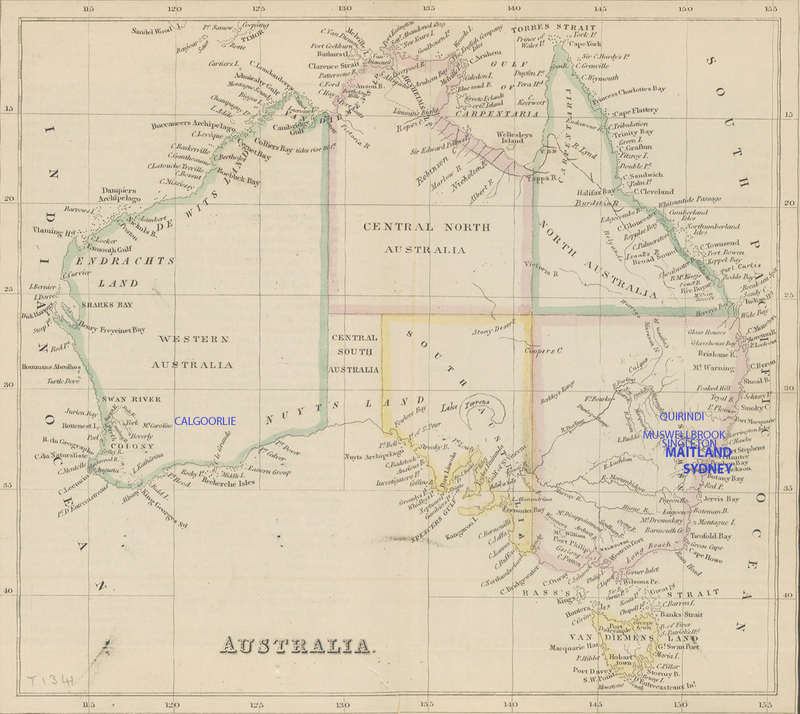 Once in Australia he spent time on the goldfields of Victoria, married Irish immigrant Isabella Hagan in Sydney on 14 March 1853, had nine children, and moved to the Singleton NSW area where he farmed at Myall Creek for 30 years before dying of influenza on 30 August 1898. He was buried at St Ann’s Anglican Cemetery in Gresford in the Hunter Valley. An obituary appears in the 1 September 1898 edition of the Singleton Argus where he was described as very highly respected and of a retiring disposition.